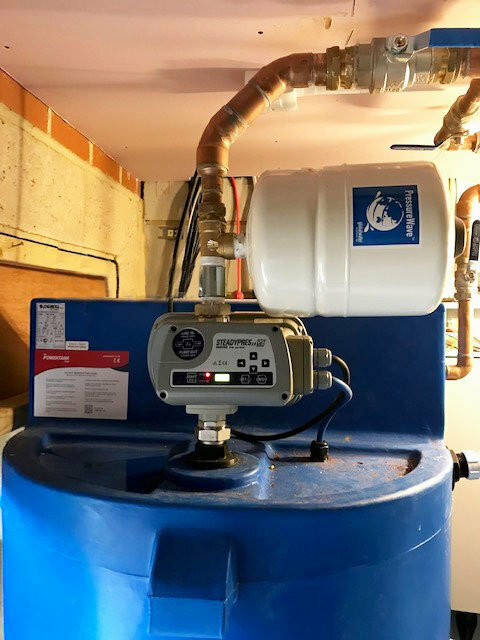 The customer at a hotel consisting of 14 bedrooms each with mixer showers contacted Pump Express to see what could be done to achieve an acceptable flow rate at the far end of the hotel as this part of the hotel had consistent issues. 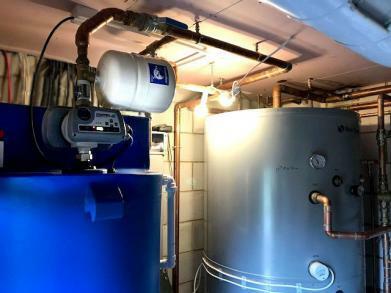 The hot water system in the hotel consisted of a 1000ltr unvented hot water cylinder. 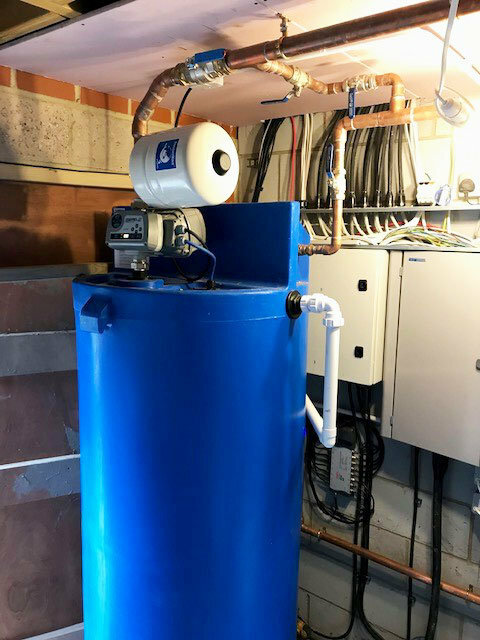 The static cold-water pressure was 2.0 bar and the highest mains water flow rate they managed to achieve was 37 litres per minute. We looked at the main problem which was to provide an adequate flow at the far end of the hotel. The increased pressure and flow could be achieved with a Powertank unit, however the Powertank would need to be able to supply 140 litres per minute to meet the potential of a fully occupied hotel. We achieved this this by using the Powertank 750 Plus, with a Variable Speed Controller. The Powertank Plus has a more powerful pump than the standard unit and can supply around twice the flow rate. The dimensions of the Powertank also catered for the customers space restrictions and the footprint of the unit needed to be as small as possible. The installation was very successful, and the customer is very impressed with the results being similar outputs at the nearest and furthest reaches of the hotel.